Senior Life Insurance – Free Life Quotes and Planning! Senior Life Insurance – Benefits, Options and Easy Ways to Find the Best Policy! 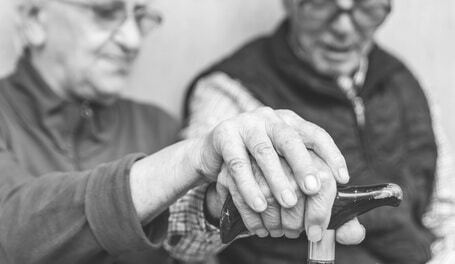 Life insurance for seniors is something that may strike you as unusual, and the question that comes up is, is it really necessary? The short answer is in many cases, yes. When you’re in the twilight years, the last thing you want is to leave loved ones with unpaid bills for medical and funeral expenses, but there are other benefits to be derived. It was not long ago that it was customary for seniors to purchase life insurance to protect their families financially in case the unexpected happened. However, in recent years and particularly in 2019 there are fewer seniors purchasing life coverage despite the fact that the risk factors are generally the same today as they have been for the past several decades. The main reason cited for the drop in insurance policies is the cost. According to recent surveys, the majority of seniors who do not purchase life policy is because of the perceived cost. Yet, further studies have indicated that people often overestimate the cost of such policies by up to 200% or more. In addition, studies have shown that almost a third of Americans believe that they need more life insurance and many also believe that an unexpected death of the family breadwinner would have dire financial repercussions. However, despite many people knowing the value of it, a majority would not consider purchasing a new policy in the foreseeable future. So, the question is not whether most people understand the value of having it rather how can their perceptions about the true cost of life policies be reconciled with the reality? Life insurance for elderly is flexible as you can decide how long to pay the premium and the amount of the insurance coverage. Furthermore, insurance offers you peace of mind so if something unexpected happens, you’ll be prepared and so will your loved ones. Do you want to find the best insurance rates? See our quotes here. Getting an insurance is recommended if you have debts to pay. A guaranteed level-premium term insurance is suitable for seniors still working to pay off debts. You don’t want to overpay of course, so the best option would be to buy a term life policy which expires as your payments are about to end, and the amount should be just enough to cover the debt. Bottom line: if you don’t want your family to end up shouldering your debt, get insured. Term policy is going to be beneficial if you’re still working to augment your savings and want to make certain your spouse doesn’t suffer from income deprivation in case you die. The uncertain economic situation often means savings are not enough, in which case insurance could compensate for it. If you have a disabled child who will require ongoing medical care or assisted living, you will benefit from cash value insurance. The extent of coverage will be on a case by case basis, but it ought to be enough to pay for your child’s expenses. In these situations your best option would be a second-to-die policy as it only pays after the death of both parents. Life insurance for seniors also comes in handy if you’re planning to leave a legacy for charity. For instance, rather than make yearly donations of $10,000, you can purchase life cover worth $500,000 and pay for the premiums with the equivalent of your regular donation. If done properly the insurance policy will benefit you and the charitable organization. The proceeds from your cash value or permanent life policy could be used to provide immediate cash for your children. If you’re liquid, the money can be used to pay for funeral costs as well as state estate/inheritance and federal taxes without having to sell jewelry, stocks or properties. In other words, if your objective is liquidity, an insurance coverage will help. If you have an ILIT (irrevocable life insurance trust), the grantor (that’s you) will have authority to transfer the right of the policy to the trust, and this cannot be modified or terminated. Furthermore, the proceeds are protected from creditors and estate taxation. An ILIT also removes the value of insurance for senior citizens off your estate, useful if your heirs are still minors or require financial protection. A cash-value plan can also be a profitable investment if you don’t want to take risks. Most banks offer 1 percent interest rate (taxable), while the majority of cash value policies today offer up to 5% tax free. If you have sufficient funds and want to invest some of it, you can purchase variable life, universal life or modified whole life . In these cases the cash value increases and is tax free provided you hold onto the policy until death. For the tax benefits alone, getting life insurance is a worthwhile investment. Coverage option amounts differ depending on the company, and the benefits can range from $10,000 to $500,000 and up in increments of $1,000. The specifics vary per company and the type of coverage you are looking for, with term life policies usually the cheapest and set for a particular period like 10 years. This type of senior life insurance does not come with any savings and pays your heir only if you die prior to the end of the term. Term insurance can be purchased with a rising or fixed premium, and it’s up to you to decide which is better. Another option is permanent life or cash value: like the previously mentioned policies, the insurance will also pay your heir in the event of your passing, but it is more costly. The reason it is more expensive is the policy increases value over your lifetime. Your options include variable life, universal life and graded whole life, and you need to consider your situation before deciding what to get, but for most seniors a guaranteed no waiting level-premium term life policy is ideal as it provides sufficient death benefits to cover a particular requirement. Another important factor is how much life insurance coverage is needed or sufficient for the seniors. For many families, seniors who need coverage may only need to be enough to cover burial expenses. However, if the senior is the breadwinner of the family, then more coverage may be needed to absorb the financial shock. Plus, there may be an inclination to leave behind a legacy that the family of the senior can use to help someone through college or perhaps pay for a new home. All of these factors will need to be taken into account when purchasing life insurance for seniors. The best action that seniors can take is to inform themselves of the costs and options that are available to them. Too many seniors put off such decisions until it is too late or the cost of purchasing a desirable policy gets out of their financial range. In the end, the value of having good, affordable life cover is something that should be considered as soon as possible so that the best, most affordable prices can be obtained. It is important for all seniors to protect the financial interests of their families in case something should happen to them. There are a lot of factors that affect the cost and premium, but when you examine these factors you’ll see that they are similar to those for younger people who buy insurance. Applying for senior term life insurance requires you to answer a series of health related questions, and they cover a wide range of topics including cholesterol, blood pressure, height, weight and other metrics. Depending on the insurance company ECG or EKG may be required as well. Apart from age, there are other factors that affect the cost of premium such as your family’s medical history, lifestyle habits (smoking will increase your premium) and gender (elderly women generally pay a lower premium because statistics show they live longer). The truth is that there are a considerable number of factors that play into the overall cost of a life policy. This means that a person who may be 5, 10 or 20 years older than another person may actually pay less for the same life coverage because of other factors in play. Get life insurance quotes with 3 quick steps. How to Find An Affordable Life Insurance? The most effective way to get cost effective life policy is to do research and compare the packages being offered. As has been shown here, there are a lot of policy options available to choose from and several factors affect the cost of premium. The first thing that you should do is consider your present situation and look for an insurance policy that meets your requirements. When you’re looking for insurance, review the policy and be certain the terms fit your needs and you understand them. Keep in mind the coverage varies according to the company and how they assessed your profile. If you have any questions about their policy or don’t understand what’s going on, ask a company representative to explain. Remember you don’t have to apply at the first life insurance company your search turns up: it’s much better to look into your situation and the plans. Insurance companies offer different plans and packages to suit different profiles and requirements, and it’s in your best interest to check each one to determine what is most suitable. 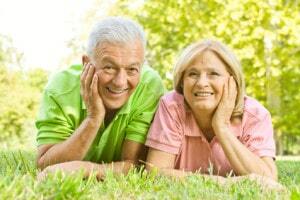 The quickest and most effective way to find senior citizen life insurance is to get quotes online. There are a lot of insures today, and each one will say their offer is the best in the United States, but which one really fits your needs? Calling each one is cumbersome and takes too much time, but if you get quotes online the process will be much quicker and convenient since everything is just a click away. In the past you had to exert a lot of effort just trying to find insurance quotes, but we have made the process easier and more convenient. All you need to do is submit your zip code or choose the state you are from, and you will get a list of the best and most affordable offers in the area. We update our database regularly and ensure you get offers only from the most reliable and reputable companies in the country. All the insurance quotes we offer are free and instant, plus most of them offer discounts as well, and with our comprehensive database you’ll have an easier time comparing them and determining which is right. Furthermore, our services include detailed guides about life cover so you’ll know what is best for your situation. It’s difficult to emphasize just how important life insurance for seniors is, and finding the most appropriate plan is necessary. With our free life insurance quotes, getting the best coverage possible is easy. Proper Planning Can Help Seniors Over 75 to Find Decent Insurance - How to Plan?